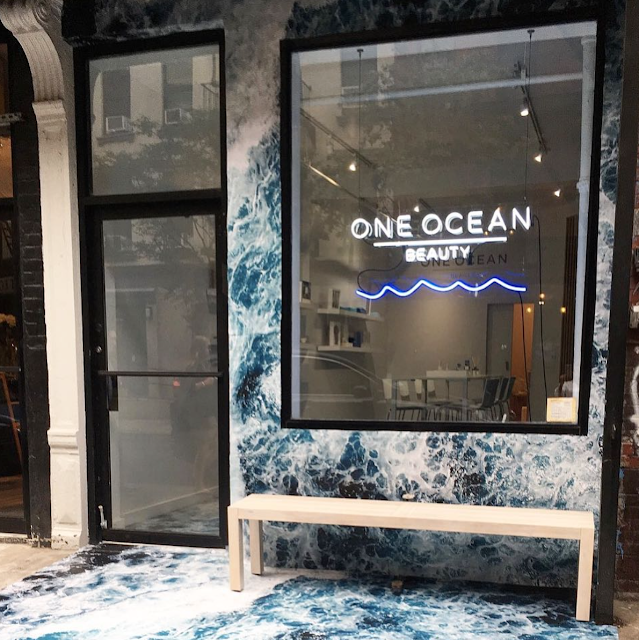 Discover The Future Of Clean Beauty At One Ocean Beauty's Pop-Up Shop! On Tuesday, September 18th I had the pleasure of stopping by One Ocean Beauty's Pop-up shop located on 251 Elizabeth Street in NoLita, NYC. 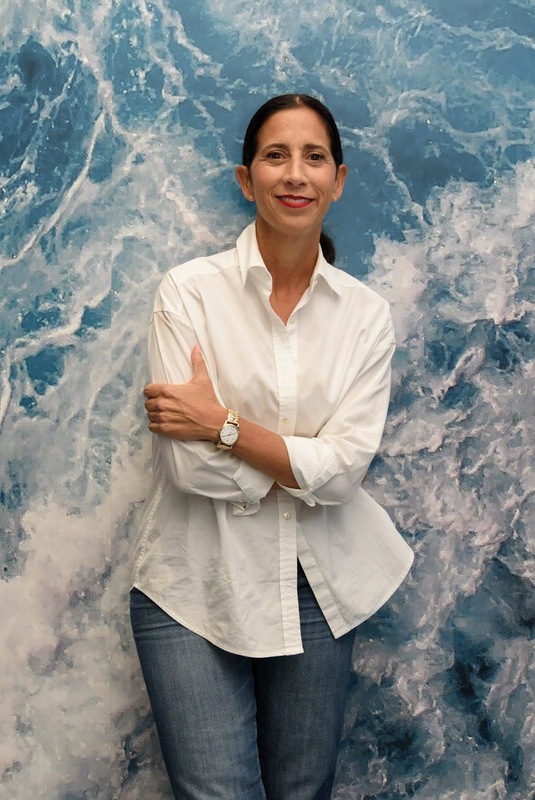 It was fabulous meeting One Ocean Beauty owner Marcella Cacci (formerly President of Burberry Beauty) and learning more about the new and exciting brand! 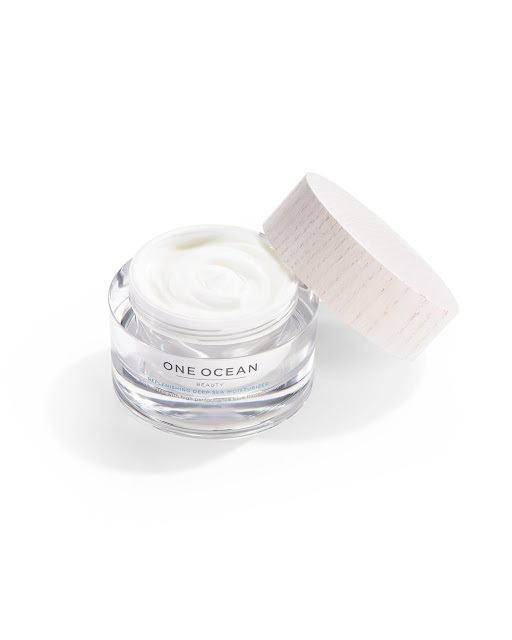 One Ocean Beauty is a breakthrough, sustainable, scientifically-proven beauty and wellness company. The brand is driving a new era of beauty without compromise by leveraging cutting-edge, natural technology while committing to radical accountability. The budding beauty brand has partnered with one of the most innovative blue biotechnology laboratories in Europe to develop clean, clinically-proven and sustainably produced beauty and wellness products. Produced using bio-fermentation, the collection consists of five products: a cleanser, moisturizer, eye cream, serum and a marine collagen supplement. 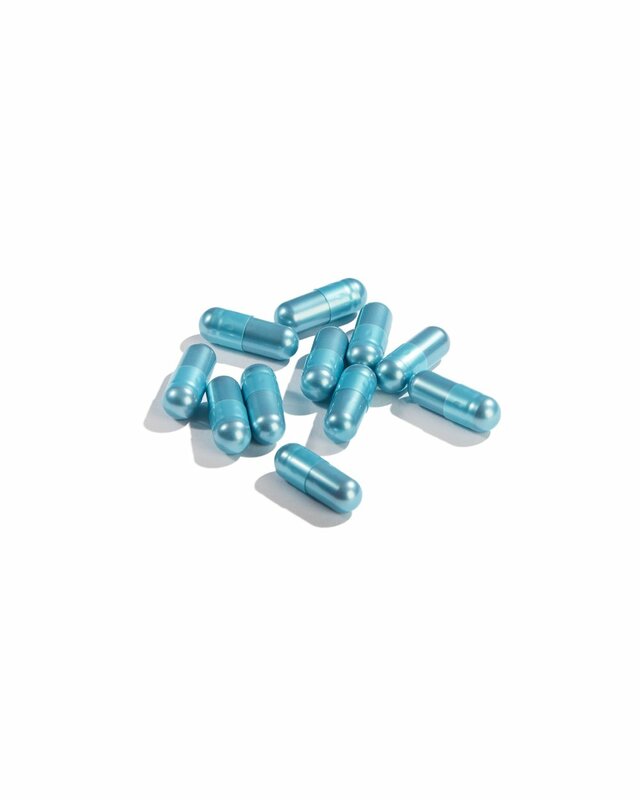 The products can be used separately or, more effectively, as a system and contain key marine microorganisms and single cells with unique anti-aging properties which have been sourced from the world’s marine environments. From the start, they have committed to eliminating all ‘dirty’ ingredients from the formulas. The products are clean, free from GMOs, parabens, sulfates, phthalates, PEGs, EDTAs, nanoparticles, mineral oil and synthetic fragrance. Using blue biotechnology, there is no harvesting, thus preserving the marine environment and protecting its biodiversity. This socially-aware company has also committed to recyclable packaging, and is working towards zero waste goals. 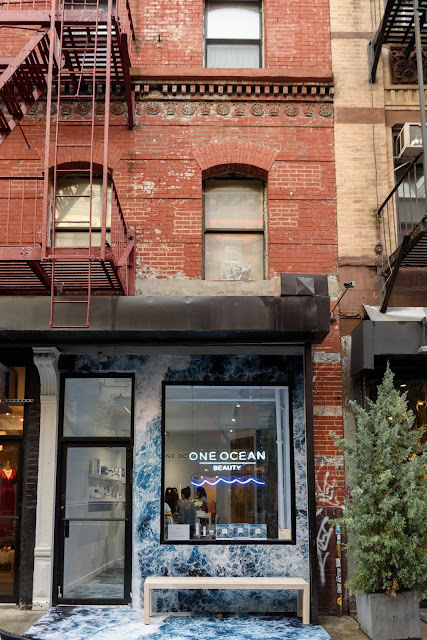 One Ocean Beauty is committed to protecting and restoring the world’s oceans on a global scale and has created a breakthrough model for corporate philanthropy. The company has partnered with Oceana, the largest international ocean advocacy organization to make real change happen in our oceans. One Ocean's Pop Up Shop in NYC will run through Sunday, September 30, 2018 from from 11AM to 7PM and is located at 251 Elizabeth Street in NoLita, NYC. Be sure to stop by and tell them OJ&B send you! 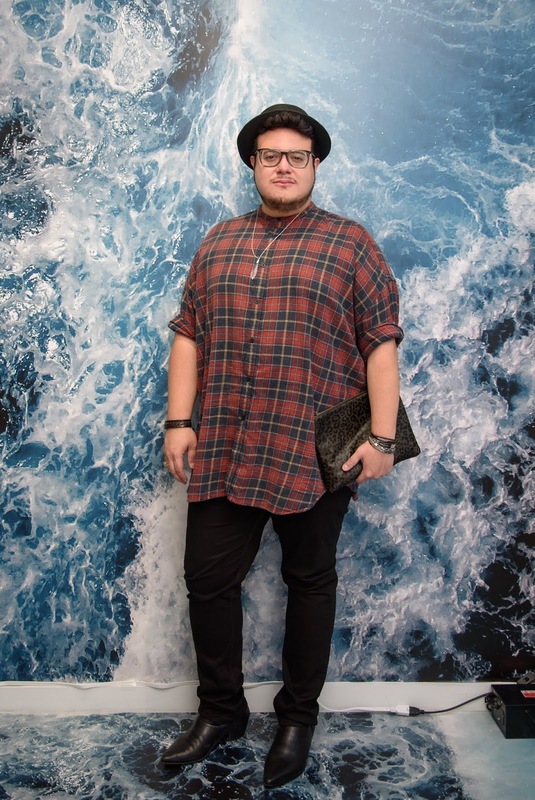 Thanks for stopping by the pop-up shop and exploring our new brand! So great to meet you.